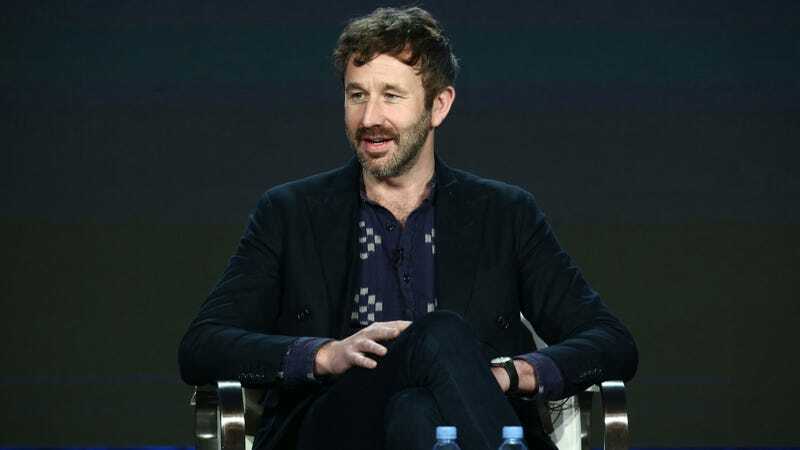 Chris O’Dowd, come on down! You’re the next contestant on The Twilight Zone! (That’s how it goes, right?) The cast of Jordan Peele’s upcoming reboot of the sci-fi classic for CBS All Access continues to grow, as Variety reports that O’Dowd is the latest star to sign up. The actor joins a stacked list of names that includes Kumail Nanjiani, John Cho, ya boy Jacob Tremblay, Steven Yeun, Jessica Williams, Seth Rogen, Betty Gabriel, Zazie Beetz, and a whole bunch of other names you can probably (definitely) find on Wikipedia. There are no details about O’Dowd’s episode beyond its title, “The Blue Scorpion,” which is presumably about a guy who finds himself in a reality that resembles his own but is decidedly–spoiler alert–much more terrifying. Peele is executive producing and hosting The Twilight Zone, which is based on the classic Rod Serling sci-fi series that premiered in ye olden days of 1959. The series also includes episode titles such as “The Wunderkind,” “Point Of Origin,” and “Rewind.” The Twilight Zone will premiere its first two episodes on Monday, April 1. Starting on Thursday, April 11, the remaining episodes will air weekly on CBS All Access, giving you plenty of time to get the login info from your parents.